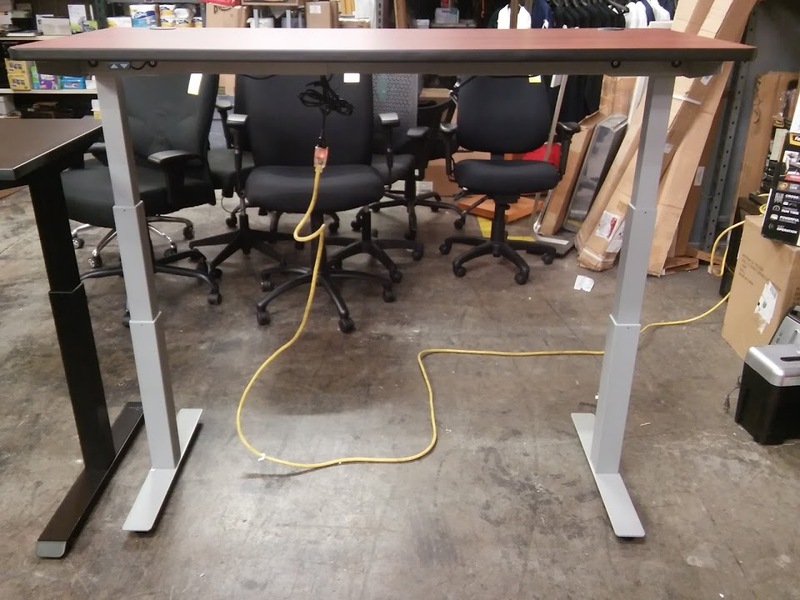 Set the perfect height from sitting to standing with this electric adjustable table! 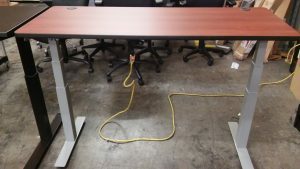 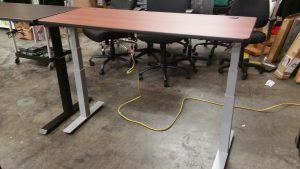 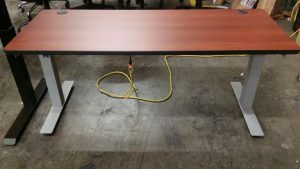 This reverse-telescoping height adjustable table base allows the operator to move from a sitting to a standing position, which encourages blood flow and keeps employees healthy and happy! And, with simple up and down controls, this table base is a snap to operate. 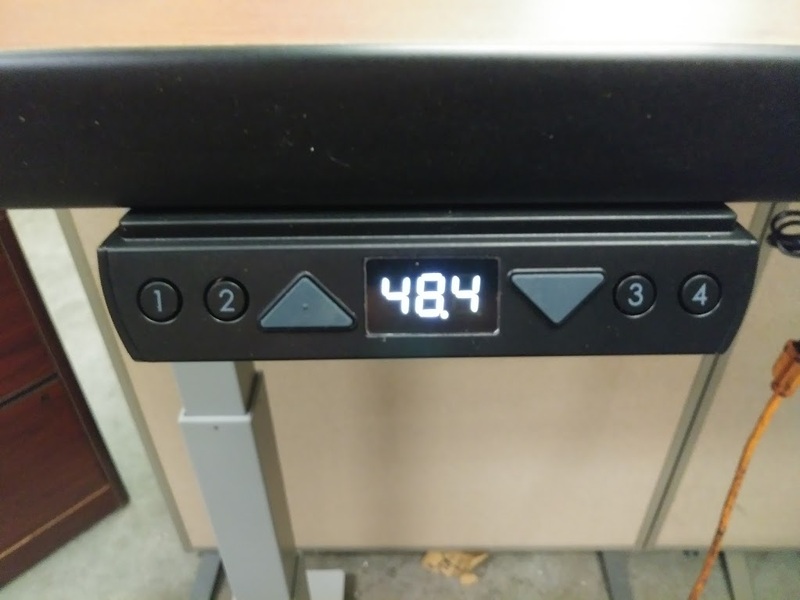 The Advanced Memory Controller features an easy to read digital display that displays the current height in inches, and has 4 programmable height settings to make going from your preferred sitting height to your preferred standing height a breeze! 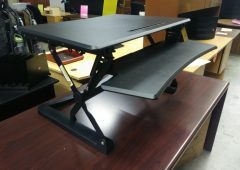 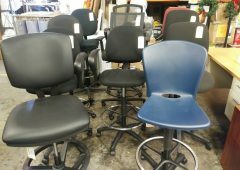 Can also be used to accommodate different user’s preferred heights. Can also be manually adjusted to any height within the 25″~49″ range. A durable steel frame with cross bars ensures optimal stability, with the power to lift up to 300 lb. 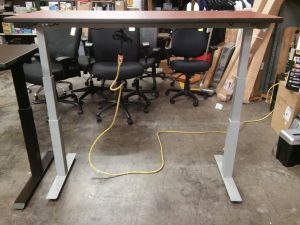 of equipment. 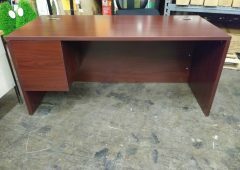 Cherry laminate top features 2 cable management grommets.